Today’s post is a result of one of the magical times I spent recently at Ellis Island at Riverlands. During an evening hike I noticed I was in the middle of a huge mayfly hatch. There seemed to mayflys in the millions. This rang the dinner bell for migrating passerines for miles around the confluence! This was definitely one of the coolest bird experiences ever for me. 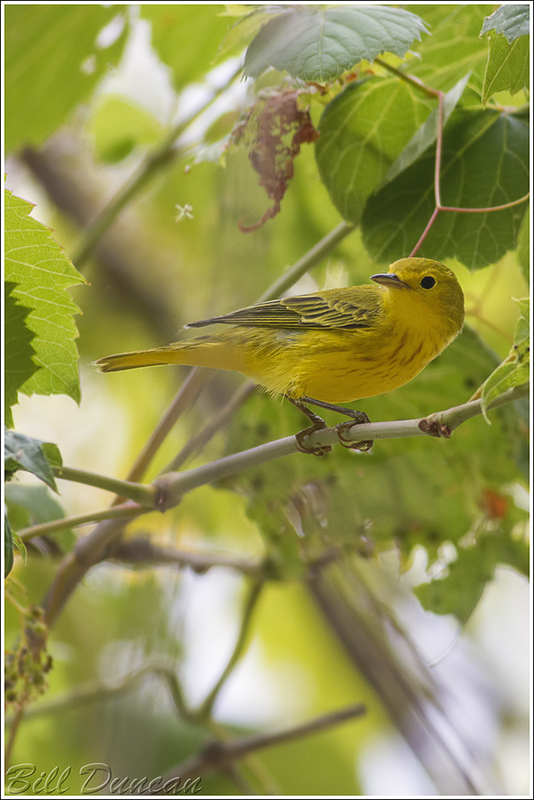 The bird pictured below, a Yellow Warbler, was one of near 50 of this species I came across. Also in huge abundance were Black and White Warblers, Empidonax Flycatchers, Red-eyed Vireo and many others. Thirteen total warblers, four vireos and a large handful of other species were all gorging on this insect feast. The swarm, so thick the flies were perching on me, lasted until sunset and unfortunately I had limited opportunities for getting decent lighting for photographs. That was frustrating, but being able to watch this natural wonder was reward enough. This is one of those species that I’ll always remember the first time I found. It was a springtime male perched on a dead branch singing his heart out and touched by the morning sun. I never truly saw the color yellow until that morning! The image bellow does that guy no justice. Enjoy the weekend and remember, in Missouri, dove and teal are in season so hunters will be out there doing their thing. There are places nature watchers and hunters use in close proximity, so be careful and considerate.